Liverpool earned their sixth win in a row from the season’s start with a comfortable 3-0 victory over Southampton. 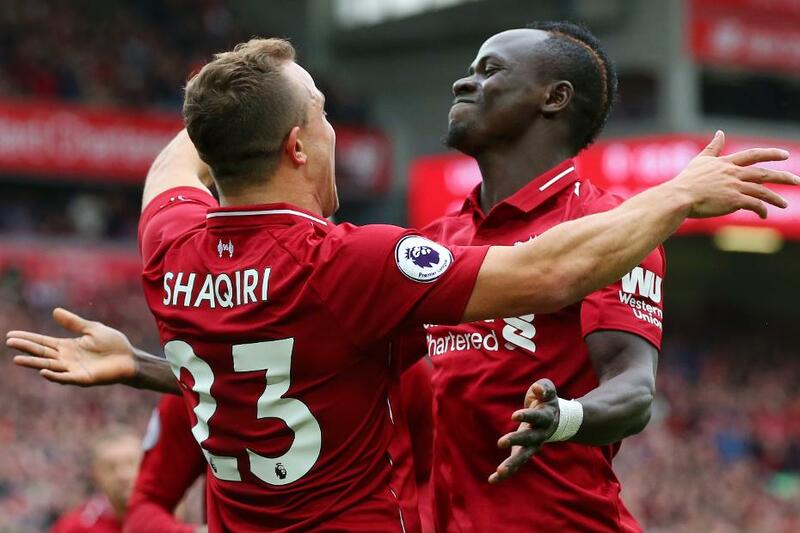 Xherdan Shaqiri celebrated a first Premier League start for Liverpool by having a role in two of their three first-half goals. On 10 minutes his shot was deflected in off Wesley Hoedt for an own goal. On 21 minutes, Joel Matip’s towering header from a corner made it 2-0. After going close a number of times, Mohamed Salah scored on the stroke of half-time, tapping in after Shaqiri’s free-kick had hit the bar. The second half was quieter. Virgil Van Dijk went off with an injury that did not look serious, while Salah thought he had a late second but was ruled offside. Liverpool are top with 18 points, while Southampton are 14th with five.